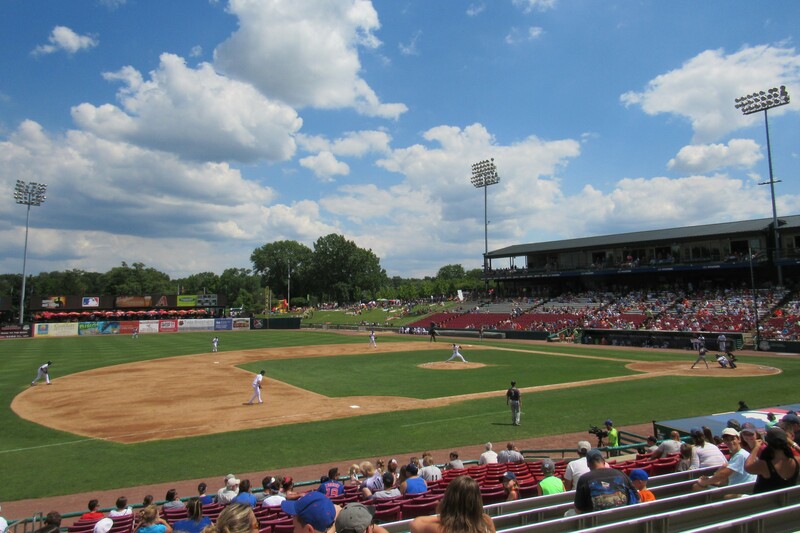 The Kane County Cougars’ hometown was named the fifth-best community in Minor League Baseball by SmartAsset, a financial technology company that offers free data-based advice. SmartAsset compiled its list based on a variety of game-day experience and quality-of-life factors from 159 MiLB communities. You can read about those here. In the past year the Kane County Cougars and their fans were pretty competitive on the field. They won around 53 percent of their games in front of an average of 5,800 fans. But off the field is where Geneva shines. This is the safest city in this study, with the third-lowest violent crime rate and the lowest property crime rate. Two other Midwest League communities cracked the top 25, though SmartAsset did not includes blurbs about them. Davenport, Iowa — home of the Quad Cities River Bandits — ranks 20th, while Fort Wayne, Ind. — home of the TinCaps — is 22nd on the list. This entry was posted in Fort Wayne TinCaps, Kane County Cougars, Midwest League, Quad Cities River Bandits, Wisconsin Timber Rattlers. Bookmark the permalink.